Dhaka, Bangladesh Dec. 12, 2010 — South Korea-based company Young One Corporation has closed all its production units 11 at Dhaka and Chittagong indefinitely following labour unrest over wages in Bangladesh. Shikder Meshbahuddin Ahmed director, operations, confirmed that the shutdown around 9:30pm on Saturday. Employees and workers of the footwear factory at Chittagong Export Processing Zone (CEPZ) demonstrated against what they said was discrimination in their wage structure. Police and local source said , the agitating employees and workers of YoungOne Sports Shoe Ltd also attacked its top officials on Saturday evening, leaving a number of them injured. the executive director of the factory Mohammad Shaheen and a human resources division official were among the injured. They were admitted to a local hospital. CEPZ police camp chief Nazmul Hasan told journalist that workers and officials of other factories of the group later joined the demonstration. they also blocked the main road outside the CEPZ for about half an hour around 6:30pm. "Anyway, the situation is now under control." Meanwhile, officials of Bangladesh Export Processing Zones Authority (Bepza) tried to talk to the angry workers and employees, but failed. 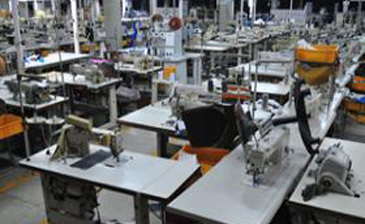 YoungOne built the 'world's largest shoe manufacturing plant' near Chittagong and the $100 million plant employs 30,000 people and produces 100,000 pairs of shoes a day.